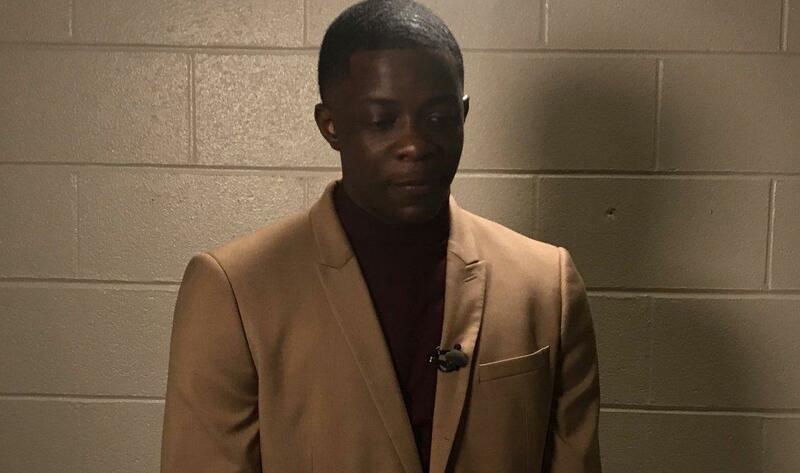 A customer is being called a hero after he charged a gunman at a Waffle House in Antioch, Tennessee. Police are searching for Travis Reinking, 29, in connection with Sunday's shooting that left four people dead and several others injured. Police said James Shaw Jr., 29, rushed Reinking, wrestled him to the ground and was able to grab his weapon. Shaw's hands were severely burned from grabbing the AR-15. "I looked back and I saw a person lying on the ground right at the entrance of the door, then I jumped and slid. I went behind a push door, a swivel door," Shaw said. He added: "He shot through that door. I'm pretty sure he grazed my arm. At that time I made up my mind -- that he was going to have to work to kill me. When the gun jammed or whatever happened, I hit him with the swivel door." Shaw's right hand was bandaged at the news conference. He also said he had an apparent bullet graze on one elbow and fell and hit his knee as he escaped, landing in the hospital for a time early Sunday. He added he didn't see himself as a hero, but feels certain he wouldn't be alive if he hadn't succeeded. "I didn't really fight that man to save everyone else. That may not be a popular thing," said Shaw, who was raised in the area, went to Tennessee State University and now works as a wireless technician for AT&T. "I took the gun so I could get myself out" of the situation. But he said he was glad to save other lives as well. At Sunday's news conference, Waffle House CEO Walter Ehmer joined several law enforcement agents in thanking Shaw for his bravery. When Shaw's father went to visit him in the hospital before he was released, he had one piece of advice for his son: "Don't do that again." After the son's release from the hospital, the family went to church together. A witness, Chuck Cordero, said he watched the gunman shoot his friend and other customers at the restaurant. He didn't know Shaw personally but recalled his heroics. "So I don't know who this guy is. I talked to him afterwards and told him, 'You are a hero, man,' because had that guy reloaded there was plenty more people in that restaurant that probably could have not made it home this morning," Cordero told CBS affiliate WTVF-TV. The 29-year-old male customer wrestled the AR-15 away from the gunman, and suffered an elbow injury and other abrasions. He was taken to TriStar Southern Hills Medical Center and has since been released. "There is a chance that Reinking is at large with two other weapons," he added. Police said they were not aware any motives for the shooting.